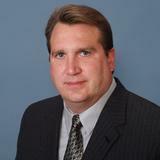 Jerry Slusiewicz is a veteran in the industry, with more than a quarter century of professional investment experience. He has worked with both individuals and institutions to manage money for safety, growth and income. His extensive experience throughout various stock and bond market cycles enables him to offer a unique blend of professional investment counsel. His personal service includes frequent contact through his weekly email newsletters and radio programs. This allows clients and prospects an opportunity to understand Jerry's philosophy and current perspective on market conditions. Jerry began his professional career as an advisor in 1987. He worked with various Wall Street firms before establishing Pacific Financial Planners, LLC. in 2004. This independent channel allows Jerry more flexibility to create a "client first" approach to portfolio management. Jerry has had his own radio show "Your Money Talks" for the last decade where listeners ask on-air questions about their investment needs. He also discusses life issues including: retirement, estate planning, portfolio management, life insurance, annuities and long-term care. Very active in his community, Jerry serves as a Laguna Niguel City Council Member and on the California Joint Powers Insurance Authority. He spent 10 years as a consultant on the Orange County Treasurer's Advisory Committee overseeing $7 billion of county funds. In 2011, Jerry was nominated as the Laguna Niguel "Citizen of the Year." Jerry has been a contributing writer to such prestigious websites such as The Street, Seeking Alpha, Minyanville and Green Faucet.com Many investment professionals seek him out for advice - now you can too.